Aubrey's personally seems to be developing by the minute. She is definitely a girl that knows what she likes and lets you know. She's not a brat about it. You can just tell by the little air of attitude that she gives towards something she doesn't like. The same enthusiasm goes into what she does like. She approaches her favorite things with gusto. 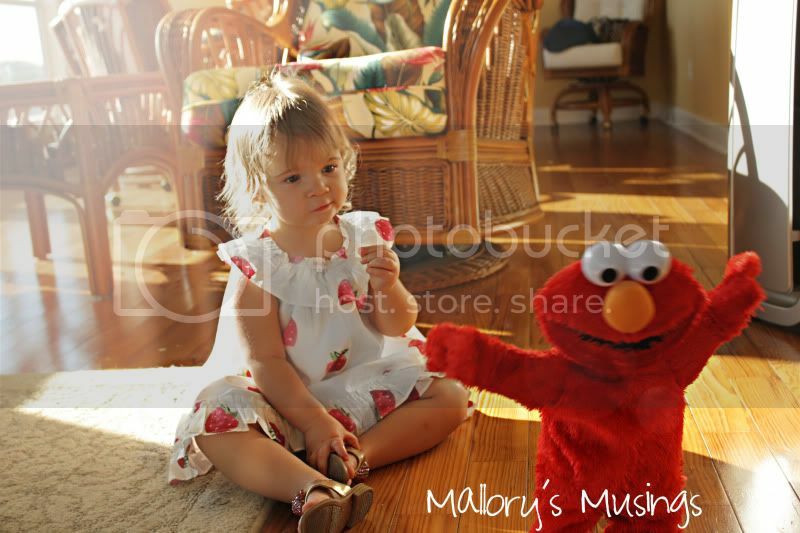 Right now she is in love with books, her play tunnel, Elmo and Mickey(or as she says "Mikey). Her personality is big for sure and I am happy about it. Although I might not feel the same way when she is a teenager but for now it's great. We took a trip up to see my Mom yesterday because Joe was working late and my Dad was in Orlando for work. 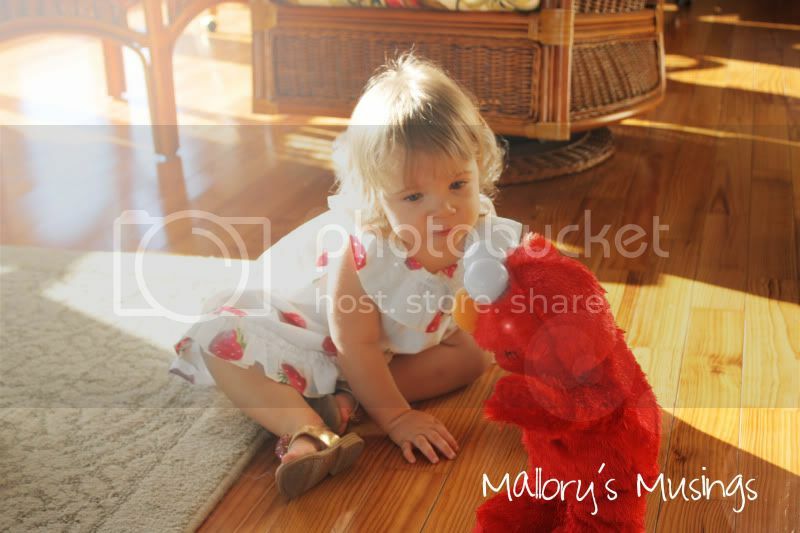 My Mom has a hokey pokey Elmo that completely entrances Aubs. He's actually really cute, I mean how can you resist that squeaky little voice singing and shaking it all about. The light at my parent's is gorgeous in the evening so I'm always sure to bring my camera. 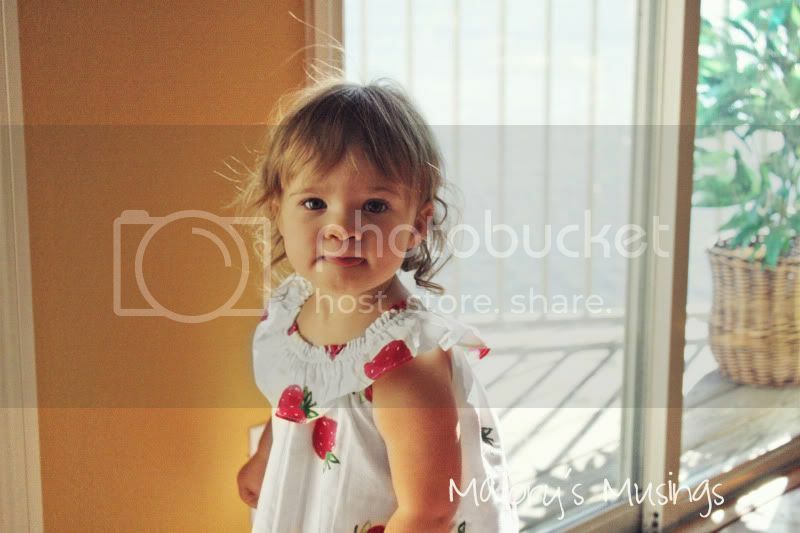 I am also linking up with Morgan at Mama Loves Papa for Small Style. I haven't done it in awhile and I love Aubrey's outfit in these pictures. Since colder weather is near (hopefully) she won't be able to wear it for very much longer. Maybe in the spring I can throw some leggings on underneath and turn it into a tunic. You are so talented, and she is so beautiful! 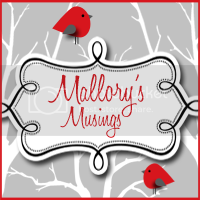 Love your blog, I am your newest follower! You're right about that lighting! Between the light and Aubrey's beauty, these photos are stunning. You should certainly make prints and frame them. Thanks for stopping by my blog earlier. 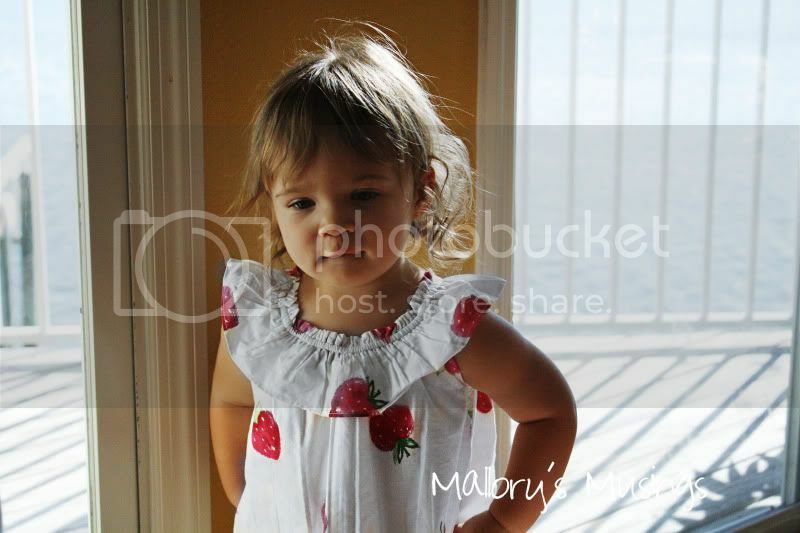 Your daughter is a cutie as well, and I love her strawberry outfit (it sort of makes me nastalgic for my my childhood).